Both Bowman’s Hill Wildflower Preserve and Schuylkill Center for Environmental Education are having native plant sales this month. It is a good time to plant trees and shrubs for next spring. Native plants are what makes every ecology we live in. Remove or destroy the native plants and the ecosystem is basically changed to the point of not functioning in the way it was intended. Read why native plants are so important. Bowman’s Hill Wildflower Preserve – 1635 River Road, New Hope, PA 18938 – 215.862.2924 – http://www.bhwp.org/. The native plant sale begins Saturday, September 7 through Sunday, September 29, 2013. A sale preview for Preserve members only is on Friday, September 6. Schuylkill Center for Environmental Education – 8480 Hagy’s Mill Road, Roxbourgh section of Philadelphia, PA, 19128 – 215.482.7300 – http://www.schuylkillcenter.org/. 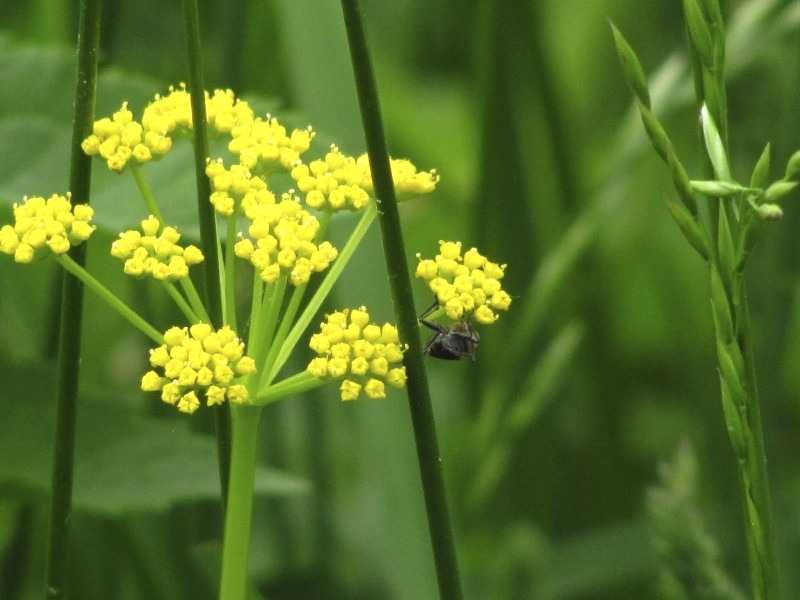 Golden Alexanders (Zizia aurea) in bloom t the Schuylkill Center for Enviro. Ed. If you can’t make those sales, remember Red Bud Nursery, an exclusively mid-Atlantic native plant nursery, is open from mid-March through November, Tuesday through Saturday, 9 am to 5 pm, and on Sundays during April, May and October, 10 am to 4 pm.